The statement was to be adopted at the ministerial meeting on September 30. 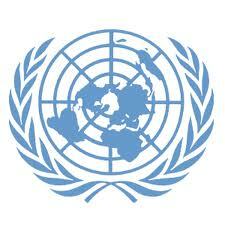 Vitaly Churkin, Russia’s Permanent Representative to the United Nations, said “the statement was blocked. The Americans said they will not work on our statement“. The Americans claimed that there are too many disagreements, as the diplomat explained. The talks on the maintenance of international peace and security, settlement of the conflicts in the Middle East and the North of Africa, as well as fight against the terror threat in the region are the key events under the Russian presidency in the UN Security Council. Assistant Secretary of State for International Organization Affairs Sheba Crocker used to claim that the document proposed by Moscow “could be perceived as endorsing an approach that could set back efforts to reach a negotiated political transition in Syria”. From the US’ point of view, the UN Security Council president’s draft statement differs significantly from the Washington’s coalition efforts to oppose the Islamic State.